Marcello Siciliano has insistently denied his involvement in the death of Franco, of whom he was said to be a very close friend. RIO DE JANEIRO, BRAZIL – A Rio de Janeiro councilman being investigated in relation to the murder of councilwoman Marielle Franco and her driver Anderson Gomes in April, has requested that federal authorities take over the case and bring greater transparency to the proceedings. 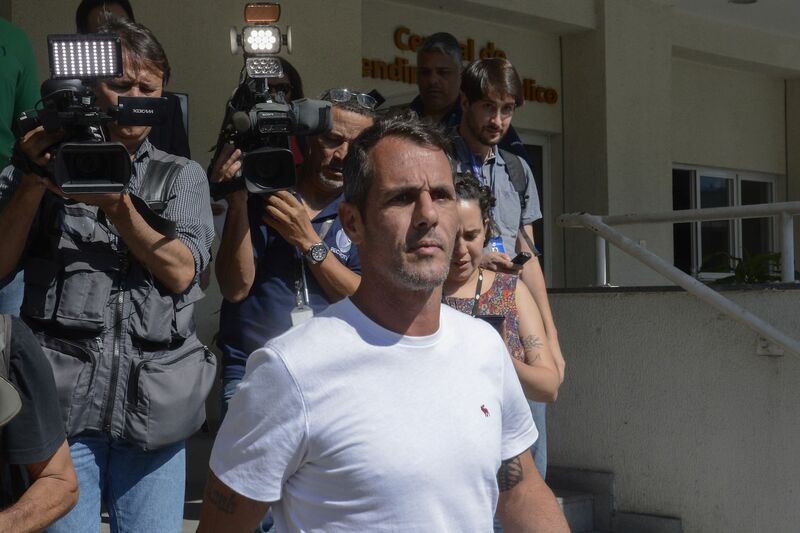 Marcello Siciliano leaves a police station after being once again interrogated about the murder of Marielle Franco, photo by Tomaz Silva/Agencia Brasil. “I also want this to be unveiled, but in a truthful, dignified way. I do not know why they decided to take me to ‘Christ’ for this crime that I did not commit, [and] I did not participate,” said Marcello Siciliano on Friday after once again being questioned by police. According to Siciliano, last week’s questioning is a ‘disrespect to my family, my life history, a disrespect to my children, my mother, and a disrespect to the Marielle family as well. A disrespect to all those who really want the true truth and not a scapegoat, which is what they are doing to me’. Siciliano has insistently denied his involvement in the death of Franco, of whom he was said to be a very close friend. In May, a former militiaman who testified that Siciliano had ordered the murder. “If we do not find out who ordered Marielle [Franco] to be killed and why he ordered [her] to be killed, that means that a political group can, if offended, order a kill,” said Federal Representative, Marcelo Freixo, who himself has been the target of an assassination attempt. Freixo stated last week that the order for the murder, thwarted due to an anonymous call to a public service program, came from the same people who killed Franco and her driver. Marielle Franco and Anderson Gomes were shot in Franco’s car while passing through the Estácio neighborhood, of Rio de Janeiro.